The main advantage of the template JB Folio Life - it's a perfect combination of simplicity and style "grunge". Developers JB Folio template used to create an updated version of the framework Zen Grid. This makes the interface template JB Folio easy to manage and enjoyable to look at. Just JB Folio template developers offer 6 color styles for website design and 60 module positions. Developers fully adapted template JB Folio for interaction with the component K2, and implemented the most simple operation, change the width of the function blocks and many other settings. Template JB Folio Life - the perfect solution for web-design magazines or news portals. 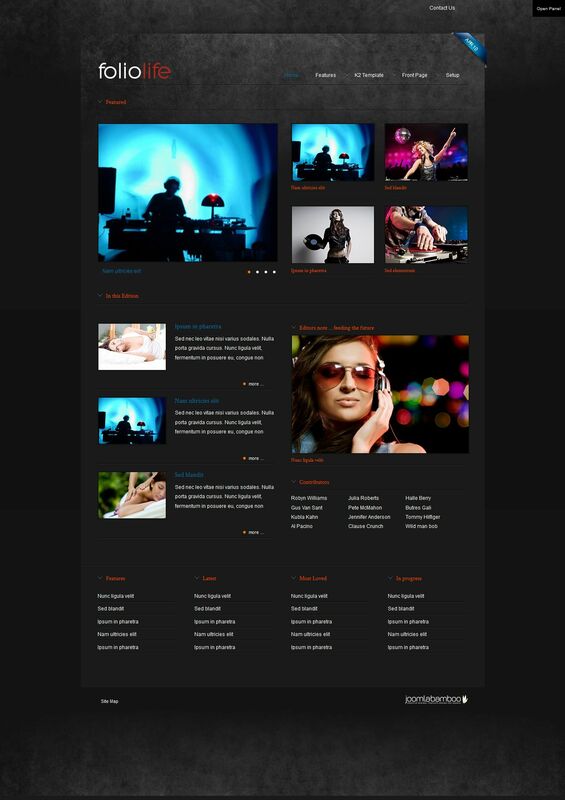 JB Folio template is set to sites running Joomla 1.5.